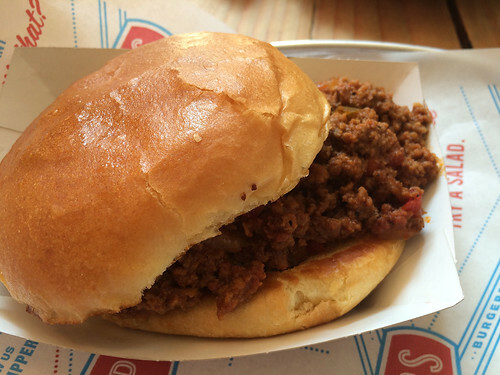 In brief: I am in love with this sloppy joe. I usually shy away from sloppy joes, not because they're sloppy but because it's hard to get the sauce right. It's sometimes too saucy, sometimes too sweet, sometimes too whatever not right. But the sloppy joe at Schnipper's is just right for me. I finish off every last morsel.